Today, I have a guest post over at Melissa’s Mochas, Mysteries, and More. I’ve worked really hard to make sure every guest post is fresh, so run over and read it, please! I think you’ll enjoy it. I am also visiting with Musings and Ramblings, where I answered a Q&A, you can read an excerpt, and a review. I am holding my breath to see the review! Meanwhile, when I was sending the TIARA TROUBLE manuscript off to my (wonderful, glorious, brilliant, helpful, fantastic) Beta readers, several of them commented on Destinee’s closet and how much it must have cost to build. Destinee’s father built out the space, sparing no expense. Destinee doesn’t even know how much it cost. When I started designing Destinee’s living space, I needed to create an amazing closet for her. This is a woman who spends a lot time in her closet. Clothes and costuming are very important to her, and she takes great care of her belongings. Also, she is her daddy’s girl, and because he is a carpenter/construction guru, he would have built her the most beautiful space imaginable. The most important thing to me was her vanity. She needed natural light, and a window to daydream out of because she is a very busy woman. The only time she has to really drift away is while she is in the middle of her makeup routine. She can put on lipliner and stare out the window at the same time. It’s a talent. She can also do that thing Molly Ringwald did in the Breakfast Club, where she put lipstick on with her cleavage. Destinee has considered using that for a pageant talent before, but decided it might be a little risque. I took to the internet and hunted down pictures for the perfect Destinee Faith Miller closet. This one is my favorite. 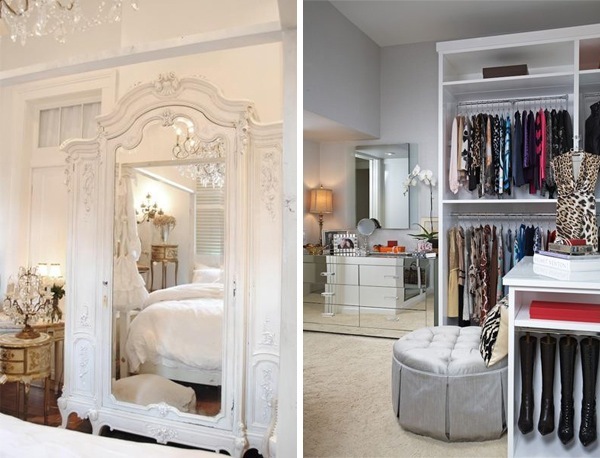 I want to go live in this pretty, pretty closet. How long do you think that white would last with all the coffee I drink and spill? I LOVED the shoe wall. In Destinee’s closet, I gave her a wig wall. My friend Charlcye used to have a wall of hair, and she was my inspiration for Destinee’s wigs. I’ll talk to you about the rest of her house later. For now, check out the stops on the blog tour, and please, please, please order, or pick up your copy of Tiara Trouble today! Buy TIARA TROUBLE on Amazon here. Buy TIARA TROUBLE at Barnes & Noble here.